Gulf Construction Online - Can DAB decisions be enforced? Blackwell ... key Singapore decision. HOLLY BLACKWELL* discusses the position regarding adjudication in the Gulf and how Singapore has sought clarity in a particular Fidic DAB decision. The call for speedy, effective, and fair dispute resolution and the need to avoid costly and protracted litigation is not new. Nor is the discussion about the pragmatism of adjudication as a means to resolve construction disputes. Some countries have implemented statutory adjudication for certain types of construction disputes. More often, adjudication is a contractual mechanism incorporated into construction contracts, although this is not commonly the agreed position in the Gulf region. Most often, we see that parties here simply delete the disputes resolution provisions in the Fidic (Fédération Internationale Des Ingénieurs-Conseils) main contract suite. This is an odd position, given the deep affection which the Gulf construction industry seems to have for Fidic forms. The Fidic dispute adjudication board (DAB) mechanism is increasingly common in international projects elsewhere, but this is not without criticism. Some have noted the time and expense to convene and obtain a decision from a DAB, especially given that this decision is not final, but is only intended to be binding pending final resolution of the dispute through agreement or other formal means such as arbitration. Then there is the question of whether it is in fact binding – in other words: enforceable. The point of adjudication is that it trades the finality of an arbitration or court award for a relatively cheap and short process which can still be enforced. Recently, there has been much ado about the enforceability of Fidic DAB decisions, particularly when a notice of dissatisfaction (NOD) has been issued. A recent decision by the Singapore Court of Appeal may provide clarity though the reach of its impact remains unclear (See Gulf Construction March 2015 for a discussion by Stuart Jordan on adjudication as the future of dispute resolution). So maybe the Middle East users of Fidic are actually correct. The Fidic DAB mechanism will be of little benefit if it is a long and expensive process leading to an unenforceable decision. We can at least have a look at whether the new decision in Singapore has helped. Courts, tribunals, and commentators have highlighted a number of issues concerning enforcement of a DAB decision under this mechanism. One issue is whether failure to comply with a “final but not binding” DAB decision (where a NOD has been issued) gives rise to a secondary dispute which must first be referred to a DAB in accordance with Clause 20.4, followed by an amicable settlement attempt in accordance with Clause 20.5, before being referred to arbitration in accordance with Clause 20.6. Another issue is whether an arbitral tribunal may summarily enforce a final but not binding DAB decision without first reviewing the merits of the DAB decision and in what form of an award or order that decision should be issued. These issues have been at the heart of ongoing litigation in Singapore over the past several years. The dispute concerned a 2006 contract between PT Perusahaan Gas Negara (Persero) TBK (PGN) and CRW Joint Operation (CRW) for a gas pipeline project in Indonesia. The contract was based on the 1999 edition of the Red Book. In 2008, disputes arose and a DAB was appointed. The DAB decided in favour of CRW and awarded it $17.3 million. PGN filed a NOD but did not pay. In 2009, CRW commenced arbitration seeking a final award directing PGN to comply with the DAB decision and promptly pay the amount awarded. The arbitral tribunal issued the final award sought by CRW without considering the underlying merits of the dispute. The Singapore High Court and Court of Appeal agreed with PGN that Clause 20.6 required the arbitral tribunal to first consider the merits of the DAB decision and invalidated the award1. In 2011, CRW commenced a second arbitration and sought an order determining the merits of the underlying dispute, and an interim award for immediate payment of the amount awarded by the DAB, pending final resolution of the dispute. The tribunal issued the interim award sought. PGN again challenged enforcement and applied to invalidate the award. This time, the Singapore Court of Appeal, agreeing with the lower court, upheld the award2. In doing so, the court concluded that a dispute over a party’s failure to comply with a binding but not final DAB decision can be referred directly to arbitration, without any necessity to refer the matter to a DAB pursuant to clause 20.4 or attempt amicable settlement pursuant to clause 20.5. The court also concluded that a tribunal faced solely with the question of whether a party must promptly comply with a DAB decision, regardless of whether a NOD has been issued, may summarily issue a final award on that issue. When a tribunal is faced with a question of prompt compliance with a DAB decision and a question of the underlying merits of the dispute, the court concluded that a tribunal may issue an “interim” or “partial” award ordering prompt compliance with the DAB decision; proceed to consider the underlying merits of the dispute; and finally, determine the merits of the DAB’s decision. The court distinguished between “interim” and “partial” awards (being awards that preliminarily dispose of certain issues and may not be revoked or varied by subsequent awards in the arbitration) and “provisional” awards (being awards that temporarily protect a party from harm or preserve the status quo) under Singapore law. The distinction is relevant because “interim” and “partial” awards are considered final and binding under Singapore law and enforceable in Singapore. The Court of Appeals decision may provide clarity about the enforcement of DAB decisions in Singapore. Whether clarity will ensue elsewhere is unclear. Some clarity may come from the contracts themselves. Fidic has proposed amendments to the Red, Yellow, and Silver books to clarify that a binding but not final DAB decision can be referred to arbitration without reference to Clause 20.4 (obtaining a DAB decision) or Clause 20.5 (amicable settlement). Fidic has also proposed language to permit a DAB decision, whether binding or final and binding, to be enforced through summary or expedited arbitral procedure, as well as language to include amounts awarded by the DAB in interim payment applications. These amendments are reflected in the 2008 Gold Book, but may be of little benefit to parties to contracts yet to be amended to reflect these changes. Available remedies will still be subject to applicable substantive and procedural law. Where a NOD has been issued, some courts or tribunals may be unwilling to treat as final, as the Singapore court did, a DAB decision that is by its very nature subject to further review. There may also be concern that an arbitral award ordering compliance with a DAB decision is, in effect, an award for specific performance which may be difficult to enforce in some jurisdictions. Some courts or tribunals may also hold the view that a “provisional” award (which is temporary in nature pending further resolution of the dispute) or damages are a more suitable remedy for failure to comply with a binding but not final DAB. For now, the best approach to enforcement of a Fidic DAB decision may still be goodwill, assuming the parties consider the outcome to be credible and fair. 1. CRW Joint Operation v PT Perusahaan Gas Negara (Persero) TBK 2011 SGCA 33. 2. PT Perusahaan Gas Negara (Persero) TBK v CRW Joint Operation 2015 SGCA 30. 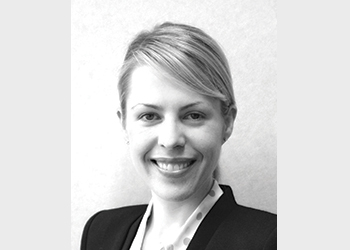 *Holly Blackwell is a foreign legal consultant for King & Wood Mallesons in Shanghai, China, with a focus on international arbitration, cross-border disputes, and non-contentious and contentious construction matters.